Free Donuts for National Donut Day! 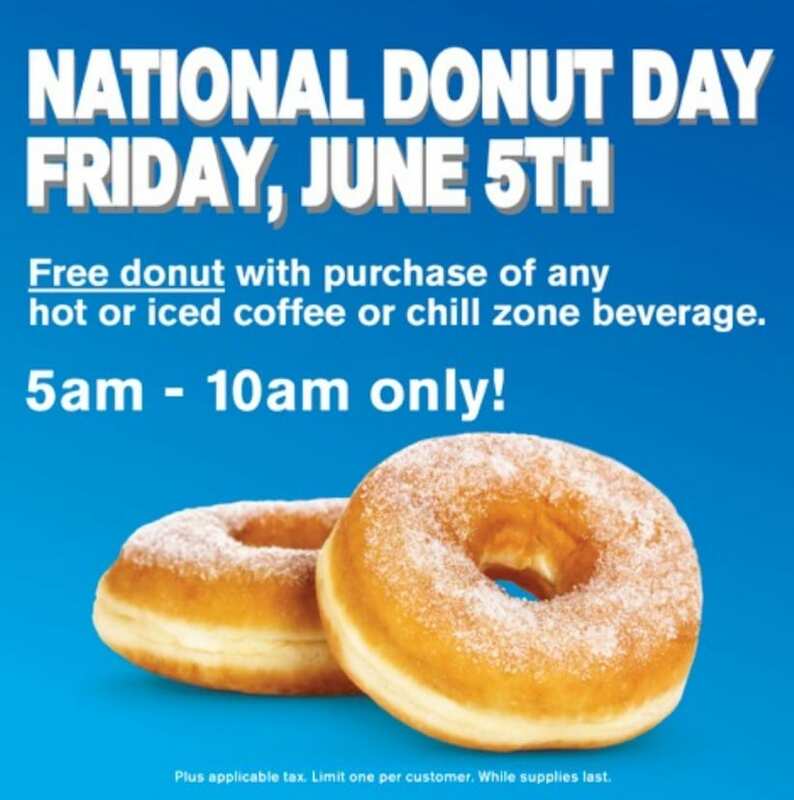 Cumberland Farms is celebrating National Donut Day by offering a free donut to customers who purchase a hot or iced coffee or Chill Zone beverage on Friday, June 5, 2015 from 5am to 10am. For more information or to find a participating Cumberland Farms location, please head here. Dunkin Donuts is also celebrating National Donut Day on June 5th with a free donut with any beverage purchase, while supplies last. For more information or to find a participating Dunkin’ Donuts location, please head here. Honey Dew is giving a Free Mocha Madness Donut for National Donut with any medium beverage purchase. For more information, please head here. Will you be celebrating National Donut Day?